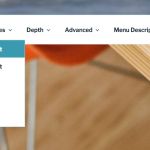 In 4.7, WordPress gets a new default theme: Twenty Seventeen. 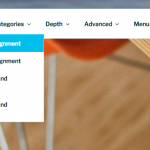 Like all default themes, it’s easily customizable for users and developers. 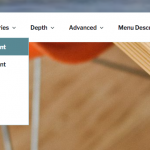 This post will cover developer features and a few tricks when customizing the theme. Twenty Seventeen only works on 4.7 and above. It uses the new video header and starter content features, each launched in 4.7. The theme also implements new theme functions to make child theming easier. With the use of get_theme_file_uri, introduced in 4.7, Twenty Seventeen lets child themes override styles and scripts with ease. For example, if you want to replace the theme’s global.js file, you can do so by including the same file in your child theme in the same path. Twenty Seventeen includes a handful of filters, all of which are documented in line in the code. The value is filterable in the event a child theme needs to change it. Like past default themes, Twenty Seventeen filters the arguments for add_theme_support( 'custom-header' );. These can be changed in a child theme. Here, we’ll add flex-width to the current args. With 6 being a new number there. In this way, the number of sections can be adjusted in a child theme. One of the theme’s most notable behind-the-scenes features, the use of SVGs means better accessibility for icons, they look great on any device and they’re easier to customize. First, the list of social link icons is filterable, so child themes can change it. All of Twenty Seventeen’s icons are decorative in nature. But if a child theme wanted to include an icon that needed to be described in an accessible way, it can thanks to built-in options. For more information on SVG accessibility, see Using ARIA to enhance SVG accessibility. So the lower the number there, the more muted a color appears, and the higher it is, the more intense a color becomes. You can also add new CSS to the existing CSS output for custom colors. // Add child theme selectors for color schemes. Enjoy customizing Twenty Seventeen and happy theming! thanks for the tips and early warnings! I am sure there will be many that love the video header and many that calculate the waste of this. Without having looking at the code and such, but having some experience with video and wordpress I must ask..
Is there an option to easily have the video auto play or not play, and instead show a thumbnail with a play button? Has someone gotten code to make the video auto-pause when scrolled out of view? I looked hard for this and asked for help in doing that with the flv-player plugin – but never got it working – hopefully others have figured it out by now. Is the video going to be self hosted / in the install files for default wordpress or is it hot linked from elsewhere? One way equals bloat for installs, the other sacrifices privacy and puts our page load speed in the hands of third parties. Are there options for having the video not load at all in different scenarios like cell phone screen size or 2g data connection? Would love to see an option to have a gif (converted to webm perhaps) showing that there is a video to be played – click to download / stream / play – otherwise the bandwidth is saved for the end user. Has anyone gotten anything like src set for video yet? 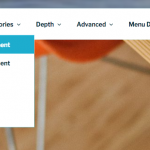 Last version of wordpress has some auto magic for different image sizes for different screens right? Does this now work with video? One theme I play with has a slider that pulls an mp4 hi rez when screen size is large enough, and then chooses to load a webm version if it detects a smaller screen size – would love to see this (or similar) options in wp core like how images are dealt with. anyhow, love to see WP embracing video more by default – it’s great, but comes with some challenges and limitations – that I hope are mostly solved in the future. Also glad to see a focus on having the default themes made with developing in mind for the end users.. I disagree that all default themes are easy to manipulate for end users, certainly 2013 theme and those before were.. the last couple not so much imho. thanks to all those who have been and are working on this! the default theme is seriously important for so many reasons! DOH! Seems many of these things have been considered and several answers to my concerns are in a previous post that I was unaware of here: https://make.wordpress.org/core/2016/11/26/video-headers-in-4-7/ – Glad to see so much consideration has already been done on most of these things! Hi. It seems you pasted the same image four times, when attempting to illustrate the saturation setting. Watch how the saturation of the blue link changes. Note in your example of removing the parent theme’s filter on “header_video_settings”, you have an order of operations issue. Child theme’s functions.php files load and run before parent theme’s functions.php files do. So, in order for a child to remove a filter that is added by a parent, then the remove_filter call should be located in a function that is hooked to after_setup_theme. Otherwise, the child will call remove_filter first, before the parent adds that filter in the first place. Which means both filters will be added, and the changes the child is attempting to make will have no effect. Thanks for catching that mistake, Otto! Should be fixed in the post now. I am trying to create an image.php file, with corresponding template-part for Twenty Seventeen. I can’t get the image, full size, to appear. This is not doing it. I used the content.php code to start with, so I see the title and the comment, footer, header, but no image on the image attachment page. Sorry if this is not the correct place to post this, but I was hoping to find this code in this post. I actually accomplished it. I took code from twentysixteen image.php file and used that. It worked! Assuming I’m a giant idiot and understand almost none of this, is there somewhere I can just straight-up download the proper style.css and functions.php files to make a twentyseventeen child theme? I have this same question as Matt. I think its great that there are people at WordPress that go to the trouble of releasing these free themes but I just wish they’d go one step further (as some independent theme developers do) and also provide the basic child theme files for download. I tried using the Child Theme Configurator plugin and it didn’t work with twenty seventeen (works fine with other themes). I think the problem is in the functions.php file so if someone could publish the correct code for that it would be helpful. And yes, I’ve posted about this in the support forums. I tried using the content width function, Does it even work? I looked through the theme code, and I can’t see it being applied or used anywhere. Same, tried using it as well, and it does nothing. its in the theme code files, but it doesn’t seem to work. In the parent theme its on line 226 of the functions.php file. This is really interesting. Thanks. I’ve been toying about with a child theme here, and finding out a few things that are different than they used to be. Can’t locate the fix to remove “Howdy” though. Also, probably relating to a comment above, if I copy functions.php into the child directory, my site goes blank? completly. Remove function.php from the child directory, and the site comes back. Great theme, thank you so much ! Please, how do you achieve the mere 93.5kb of espresso.jpg, which is a 2000×1200 picture, and looks (compression) artifact-free !? I’ve extended my front page sections from 4 to 6, but still would like to keep the page size as low as possible. I tried inputing the below code into the child theme functions.php but am not getting any results. Can any one make a suggestion to where I am going wrong? Thanks!